When we began work on the next generation of gang training, we considered every element that defines an aggressive, comprehensive, and technology based and driven training program. And we challenged ourselves to find the best, more forward looking way too deliver that training to you. When we put it all together, the result was something entirely new. Something radically different from anything gang officers were used to. Something that provides an extremely powerful argument against the status quo. We should never replace a traditional classroom environment but when budgets drive training decisions; a virtual classroom is the solution. With a comprehensive cadre of law enforcement, corrections, terrorism and extremism specialists, along with leadership, management, and technology professionals, we offer a wide variety of professional training courses and topics designed for U.S. and International criminal justice professionals dedicated to combating gang violence and other external threats. We also serve those in the private sector concerned with the ever-increasing gang presence and public safety threat related to those industries charged with protecting and securing our nation's hospitals, parks, malls, retail stores, and businesses. We pride ourselves in being able to customize courses to fit the student's needs and skill set so that the attendees gets the most out of their time with the instructor whether online or onsite. The traditional scholastic model breaks down in modern times. The way we work has changed—and so has the way we access information. This is the age of “just Google it”; of mobile devices that are always connected; of instant, robust, and timely access to the knowledge we need. Many agencies understand this reality, but struggle to adjust their training programs and requirements accordingly. There is a lot of buzz around mobile learning, but what does that mean when it comes to building specific training programs? What does that mean when it comes to the delivery of those programs and what kind of learning methods, or models, work best in a law enforcement setting? We have launched the Gang Enforcement Institute so you can provide and deliver a more modern, more effective, and more engaging training program for those charged with protecting the public. Nearly every aspect of our lives has been affected by the digital age, and the way we learn and use information on the job is no exception. Law enforcement training has simply been slow to follow suit. While many technological advancements inspire a change in human behavior, others respond to well-established human characteristics. Human memory is one such human characteristic. One study measured how successfully a team remembered training from a single event after various intervals of time, from less than a month to more than one year. The results demonstrate that our retention of information tends to decay a lot faster than we might expect. For example, on average, 84% of training information is forgotten after only 90 days. While the rate of forgetting might not be quite so dramatic with more contextual information, the trend line is clear. This is where technology has come in to help—even save—us. We might not even notice the ways in which we cope with forgetting knowledge, especially since technology has provided us with the best memory aid of all time: the internet. Now when we forget something, we turn to our mobile phones, tablets, or laptops—whatever is most accessible that instant—and look up the information we need. Our answers arrive at the speed of Google. 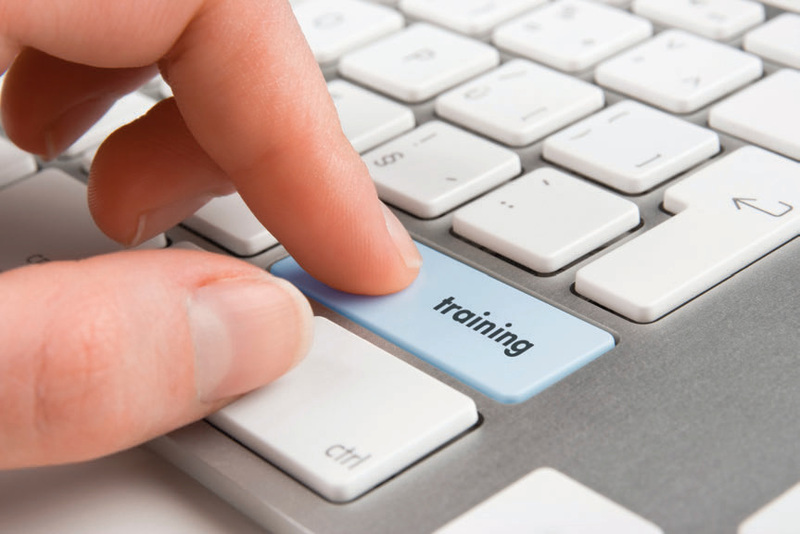 WHERE DOES CLASSROOM TRAINING FIT? While the traditional classroom instruction model can only go so far, there are many organizations and agencies that are unwilling—or unable—to give up classroom training completely. And this is not a bad, or wrong, approach. Mobile and just-in-time learning processes can complement and enhance classroom training, offering officers the best of both worlds. We do not disregard the positive impact that traditional classroom and conference style training can bring to an officer's learning experience. However, we do see the extreme challenges in fulfilling the ever growing list of public expectations - expecting those in public safety to be subject matter experts in all threats related to protecting the public. If you were to only deliver this training in a traditional manner, you would literally never leave the classroom and still never be able to become proficient in all the threat areas you are charged with facing. It's not practical - It's not reality. It's time to evolve. The future is now. Newer learning models work toward more individualized, on-the-go training for learners. This may mean supplementing classroom training, or supplanting classroom training altogether. Experiential learning follows the logic that there will be better learner retention and recall when knowledge is coupled with experience. This model follows the credo that to live it, taste it, and experience it is to learn it. Just-in-time learning refers to on-the-job access to information—to “learn while doing.” This is extremely relevant to the modern workforce not only because mobile devices so well enable such a model, but also because so many jobs require robust information, skills, and processes to do the work successfully. Given our digital landscape, the complexity of today’s jobs, and our ability to access information at any time, just-in-time learning is a critical part of any effective learning and development program. It is the strongest combatant to the speed at which we forget information, as learners can access information they have forgotten, or utilize spaced retention to help recall information better. Every time you activate and review the information in question, the memory of that knowledge strengthens. gang enforcement challenges. Ours are packed with the latest trends, useful tips and practical advice. Our training mission is to support, promote, and enhance the personal and professional development of both the public and private sectors dedicated to reducing gang violence and other external threats by better preparing them for the complex challenges and increased risk associated with at all levels. The first of its kind, through our Gang Enforcement Institute or commonly called the iGang™ Program, The Gang Enforcement Company delivers professional, rich, engaging gang education quickly and affordably in either a "live" or "on-demand" format. You will be equipped to receive, give, and discuss gang threat information of interest to you, your unit, task force or colleagues through cutting edge online training technology. Now you can attend world-class training from the comfort of your office, home or even while on vacation directly from your desktop, laptop, tablet or even your smartphone. No travel costs and no loss of manpower for days at a time makes the Gang Enforcement Institute the life-line that every agencies' training budget is looking for. You can train your entire unit, task force or department for a fraction of the cost without ever having to leave your jurisdiction or agency and the courses are taught by the same subject matter experts we and others use at gang conferences around the country so content, context and certifications are not compromised. If you’d like to book one of our core classes, or you require us to develop curriculum that addresses your specific training needs, we’ll work together to ensure you receive exactly what you want in order to achieve your goal. Why a Custom Training Program? Proximity: Sending several officers to training can be costly when adding travel and per diem expenses. It may be more cost effective to bring a course to you. Budget: All of our custom classes are priced at an “All-Inclusive” rate. There are no additional fees for travel expenses, shipping fees or course material.